Barcode software generates list of bar codes using constant value, random and sequential series generation process. 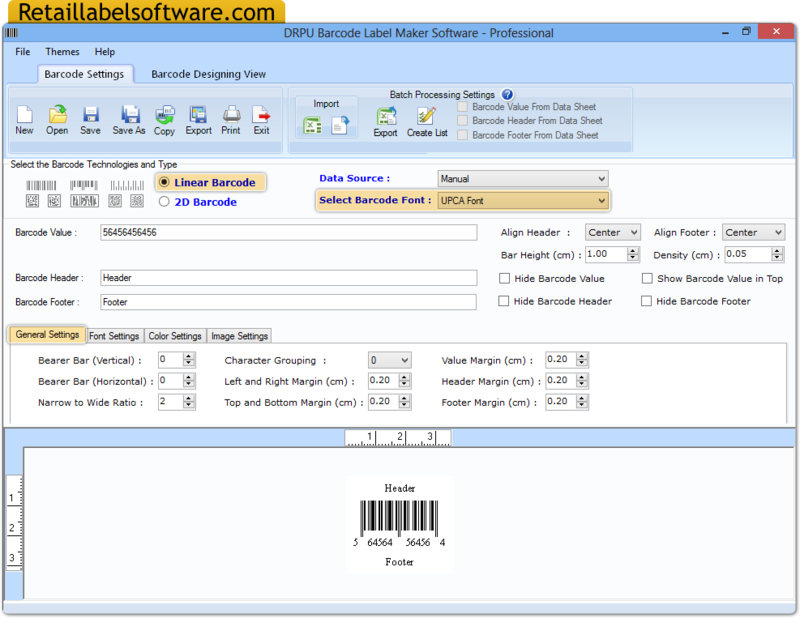 Professional bar code label generating software supports almost all major Linear and 2D barcode font’s standards. Bar code software creates barcode images as per your business requirement in simplified way. You will be able to save your barcode images in variety of graphic format on your PC for future reference. Aztec, Databar, Databar Code 128, Databar Code 128 Set A, Databar Code 128 Set B, Databar Code 128 Set C, Databar Expanded, Databar Limited, Databar Stacked, Databar Stacked Omni, Databar Truncated, Databar EAN 13, Databar EAN 8, Databar MicroPDF417, Databar PDF417, Databar UPCA, Databar UPCE, DataMatrix, MaxiCode, PDF417, QR Code, MICR Font. Create barcode labels as per specific business needs. Supports all major 2D and Linear barcode font standards. Create multiple barcode images in short time duration. Prints one or more than one barcode images on single paper using label printing software. Supports all major general printers and barcode printers.